Social skills and character education is a large part of a kindergarten curriculum. Using books can help convey the lessons in a meaningful way. 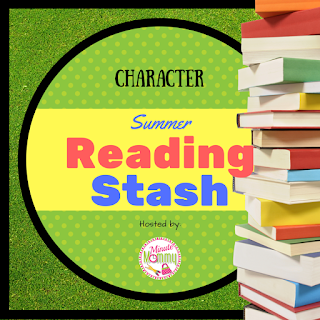 Today I am excited to join Katie - from Minute Mommy - in her Summer Reading Stash Blog Hop! 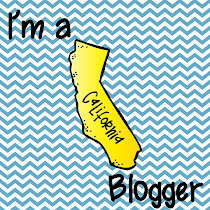 Each week fabulous bloggers (and my IG friends!) will be sharing favorite children's books relating to the weekly theme. And this week's theme is Character / You Are Special. Here are a few of my favorite books that are perfect for any Kindergarten classroom. KINDNESS - My absolute favorite way to teach about kindness is by using any of the bucket filling books. I really like Will You Fill My Bucket? by Carol McCloud and Karen Wells, because it shows families and kids in many different countries around the world filling buckets! Filling buckets helps teach kids to use actions and words to show how they care about someone. Students learn about respect, sincerity, and thoughtfulness. My Kinder kids can't get enough of bucket filling! FRIENDSHIP / CARING - I have been reading Corduroy by Don Freeman for years. And every year my students LOVE it! Who can resist that sweet little bear with the missing button??? Another book that teaches about friendship is Simon and Molly Plus Hester by Lisa Jahn-Clough. Simon and Molly are the best of friends until Hester moves in. Molly begins to feel left out, but eventually they ALL become the best of friends! 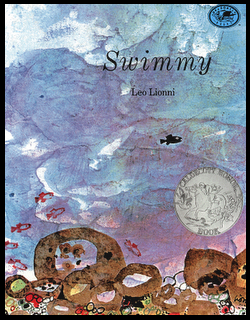 COOPERATION / TEAMWORK - I love reading Swimmy by Leo Lionni when I am teaching about cooperation and working together as a team. This story is about a little fish, who works together with his fishy friends to avoid the dangers in the ocean waters. After reading I have my students create a large fish out of their handprints to get across the concept of working together to reach a common goal. We use a large piece of butcher paper and then I strategically have students stamp their handprint using paint in the shape of a fish. The black handprint is Swimmy! I like to hang it on the wall all year long, so the kids can be reminded of the story and of the concept of teamwork! 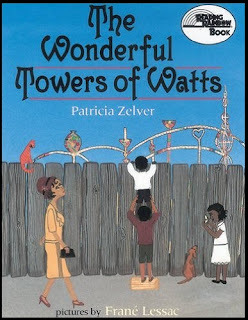 PERSEVERANCE - My last book is called The Wonderful Towers of Watts by Patricia Zelver. It tells the story of Simon Rodia an Italian immigrant who, over the course of 33 years, created a magnificent structure from pottery, broken glass, and shells, which is now a National Historic Landmark. 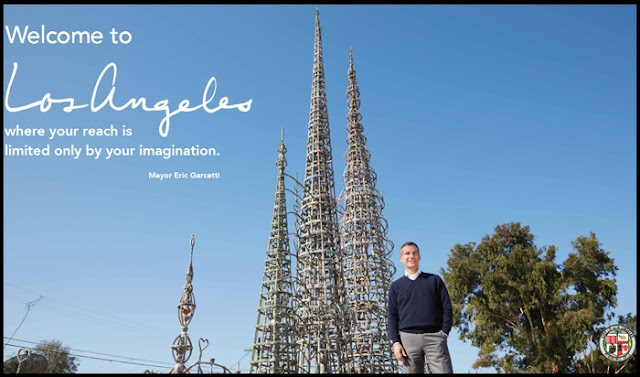 My students relate well to this story and the message because they live near the towers! I hope you enjoyed my top 5 books. My students love every one of them! Don't forget to come back each Wednesday throughout the summer for more awesome children's literature! And we will be having a BIG grand finale in August! 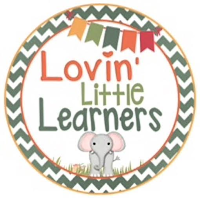 NOW continue on through the hop and head over to Lovin' Little Learners to see some of Sara's favorite books, just click on her button below! I LOVE the activity that you do with Swimmy and that you leave it up all year as a reminder. Thank you for sharing! Thanks again for hosting Katie! I'm learning about so many great books as I hop through the blogs! Thanks Karen, you are too sweet! Yes, I know what you mean! I have added 5 new books to my Amazon Wish List!! Help! I love love love your swimmy art project! I definitely need to add that to my plans this year. And the bucket filler book looks great!!! Going to add that to my cart now! Thank you so much for sharing! Shining a Light on Kindness!